On the other hand, for every film that takes you on a compelling journey to the truth, there are a dozen movies that simply fall flat for one reason another. Sometimes the mysteries just aren’t very interesting, or the film gets too bogged down in its own secrets to make any sense. And in some cases, the answers to the big questions posed by the film are too easily found. Most frustrating, though, are the films that just end up spoiling all of the big secrets before the show has even begun. And therein lies the biggest problem with Inferno, the third installment of Ron Howard’s trilogy of films that began with the 2006 adaptation of Dan Brown’s The Da Vinci Code. 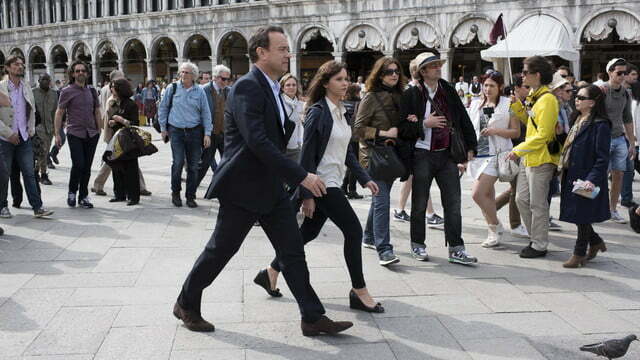 Directed by Howard from a script penned by David Koepp, Inferno brings Tom Hanks back to the role of Robert Langdon, a Harvard University professor of religious iconology and symbology who – for a third time now – finds himself caught up in a globe-spanning mystery that only his particular expertise can solve. 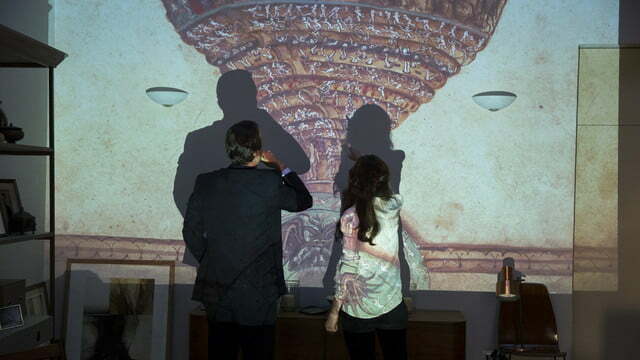 Inferno is a love letter to the art and iconography of the ages long past. The mystery this time around involves a deadly virus set to be unleashed on the world that draws inspiration from Dante Alighieri’s Inferno – the 14th century poet’s vivid description of Hell. With only a series of clues pertaining to Dante’s famous poem to guide Langdon to the virus’ hidden location, he’s forced to contend with both a debilitating head injury and various parties competing to unleash the virus, stop it, or sell it to the highest bidder as he attempts to save the world. 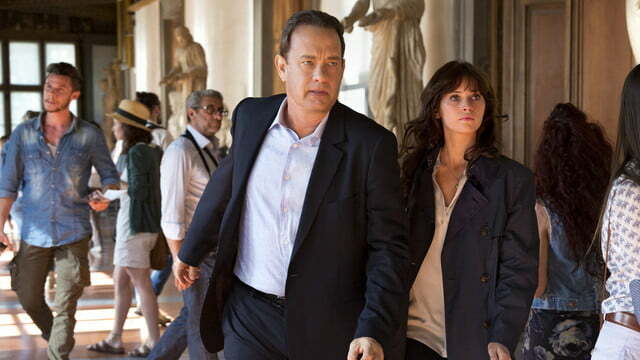 Like its predecessors in Howard’s trilogy, Inferno is a film that has all the ingredients for a bona fide blockbuster. Not only does it have the infinitely bankable, two-time Academy Award winner as its star, but it also has Howard (another two-time Oscar winner) behind the camera, a script from the writer who penned the Jurassic Park and Mission: Impossible screenplays (among other mainstream blockbusters), and the next Star Wars star – Rogue One: A Star Wars Story actress Felicity Jones – as its female lead. 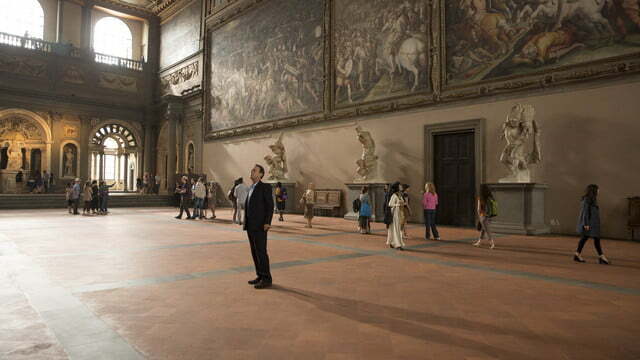 Sadly, the biggest mystery to be found in Inferno just might be how a movie with all that talent ends up being so forgettable. Despite the usual, high level of on-screen work from Hanks and a few standout sequences and performances from the supporting cast, the third film in Howard’s trilogy never finds its footing. The story that propels the characters from one part of the world to the next frequently feels disjointed, with each plot point connected to the next by awkward leaps explained away by either Langdon’s brilliant, Sherlock Holmes-esque deductive abilities or swept under the narrative rug thanks to his amnesia – a plot point established early in the film and used far too often. Inferno also suffers from having its central mystery – what all these Dante-related clues are pointing to – established well before the film even begins. The film’s official plot synopsis, trailers, and marketing all identify the mysterious “Inferno” as an apocalyptic virus, and many of those same trailers and sneak peeks reveal the clues that get him from the early stages of the mystery to its final, frustratingly predictable conclusion. The film’s promotional trailers are its most egregious plot-spoiler. 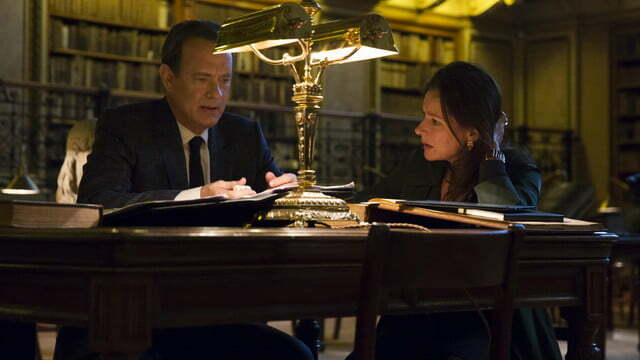 Inferno never quite manages to find its footing. Knowing so much about the movie’s plot ahead of time makes you feel like a tourist as it propels its main character from one point to the next instead of an involved participant in the story, experiencing the mystery through Langdon. This contributes to a general sense that Inferno is more concerned with showing off the places the characters go and the art they encounter than telling a compelling story. 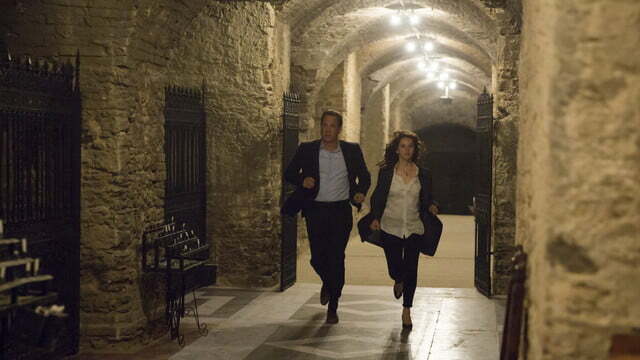 Inferno is not a complete disappointment. 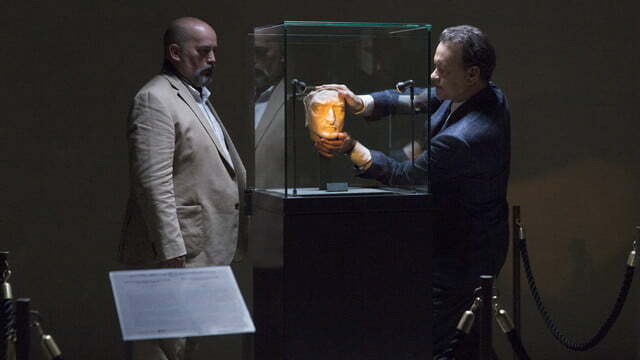 For a film that spends its first two acts (and the majority of its running time) getting to the bottom of a mystery that the film’s trailer already revealed months ago, Inferno does indeed give its audience a lot of amazing things to look at along the way. Shot on location around Florence and Venice in Italy, Inferno takes full advantage of the local scenery and provides some breathtaking visuals certain to stoke the fires of wanderlust for anyone eager to see the famous cities where the story unfolds. 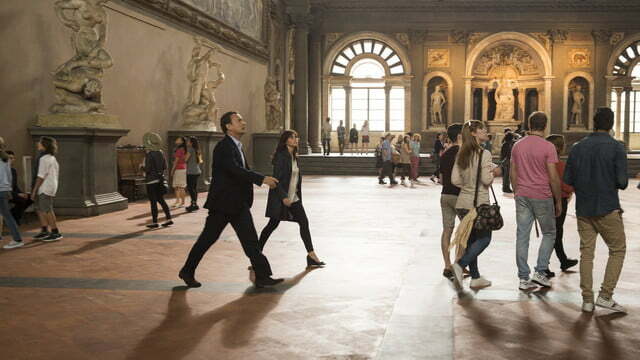 Like its predecessors, Inferno is a love letter to the art and iconography of the ages long past, and the camera lingers appreciatively on each famous painting, statue, structure, or sculpture that plays a role in the movie. Howard also offers up a few surprises with long, nightmarish sequences – a product of Langdon’s hallucinations – that have the director flexing filmmaking muscles we haven’t seen him use all that much in the past. Sequences featuring a group of people with their heads twisted 180 degrees around, walking down a street bordered by rivers of blood filled with amputated limbs, isn’t the sort of thing one expects to see from the filmmaker responsible for Apollo 13 and A Beautiful Mind – but to Howard’s credit, he channels his inner horror auteur well. There’s little unexpected about Hanks’ performance, but the actor seems more than comfortable in the role of Langdon and provides no less (or more) than what you would expect. Jones does a serviceable job in a role that feels underdeveloped for the Oscar-nominated The Theory of Everything actress, while Jurassic World and Life of Pi actor Irrfan Khan plays one of the film’s most memorable parts as the eccentric head of a mysterious private security agency. The former Bollywood actor adds a nice amount of texture to a character that could’ve been just another plot device, and it says a lot – both good and bad – that he is occasionally the most interesting character in the entire film. 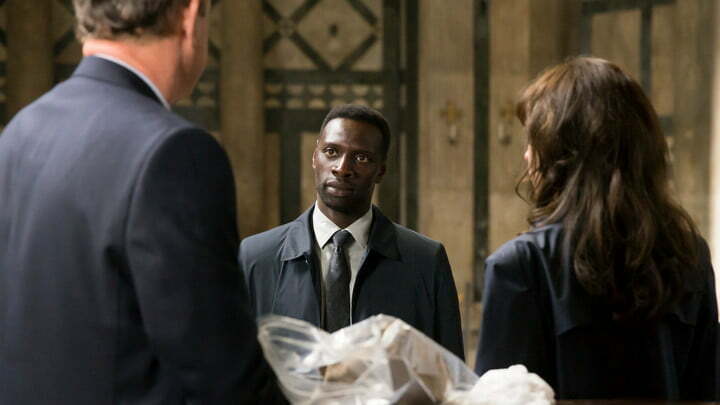 The most surprising thing about Inferno is its conspicuous lack of surprises. Offering little in the way of unspoiled mystery and a story that feels far too fragmented, the film tries to paint over its flaws with some fantastic visual elements that can only go so far to distract the audience. 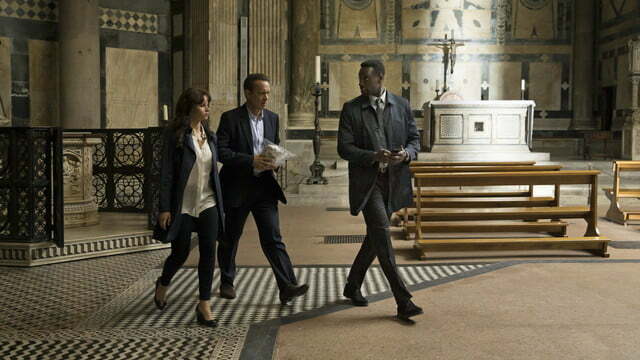 Although it doesn’t feel like a franchise-ender, Inferno doesn’t elevate the series, either. What the audience is left with is a globe-spanning, clue-hunting adventure with the fate of the entire world at stake that somehow manages to be, well… really boring.